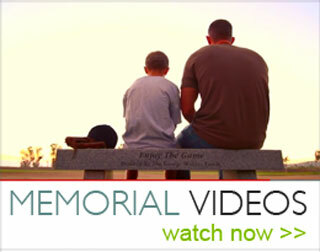 Bell Memorials & Granite Works, Inc. is a monument company in Clovis, CA that has provided Central California, the Central Valley and Northern California with personalized cemetery headstones, monuments and memorial services since 2000. As a family owned and operated business, we have worked with families, nonprofits, civic leaders, and organizations designing custom pieces of commemorative art. A memorial is more than just a “marker”, it is a chance to tell the unique story of an important person’s life; a permanent, tangible tribute that will last for generations. ….This is the Art of Remembering…. 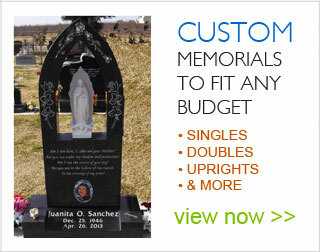 We offer a wide variety of memorial products – simple to elaborate; from pet markers to family crypts, with pricing to fit all budgets. Some examples of headstones and grave markers include flat markers, pillow and slant markers, upright monuments, baby markers, bronze memorials, pet memorials, benches, and engraved boulders. Additionally, we provide public and civic monuments, commercial signage, donor bricks and monuments ...If you can dream it, we can carve it!